If you ever had a doubt that small kids can make BIG change, then it’s time for you to meet Mia and Liam Seshadri. 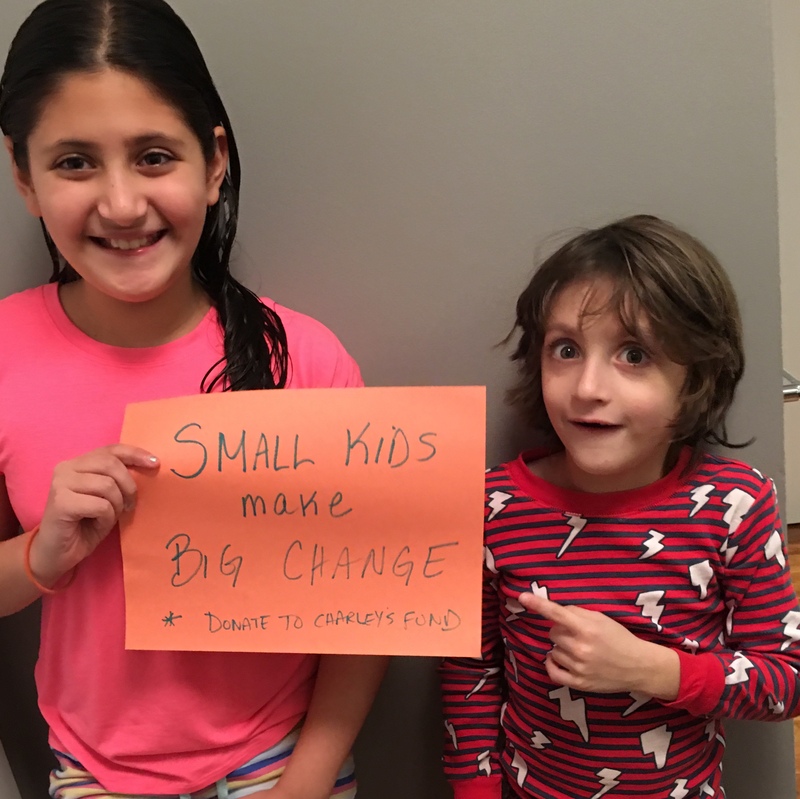 With some help from their mom Jen, this brother/sister duo has really shined as part of our Small Kids BIG Change campaign. “SKBC” was started in 2017 by a group of NYC supporters who wanted to help their kids see that no matter how young you are, you can make a difference in the world. In the first two years, this coin collection fundraising campaign has raised nearly $27,000 for Duchenne research! We are already excited for its big return in fall 2019. 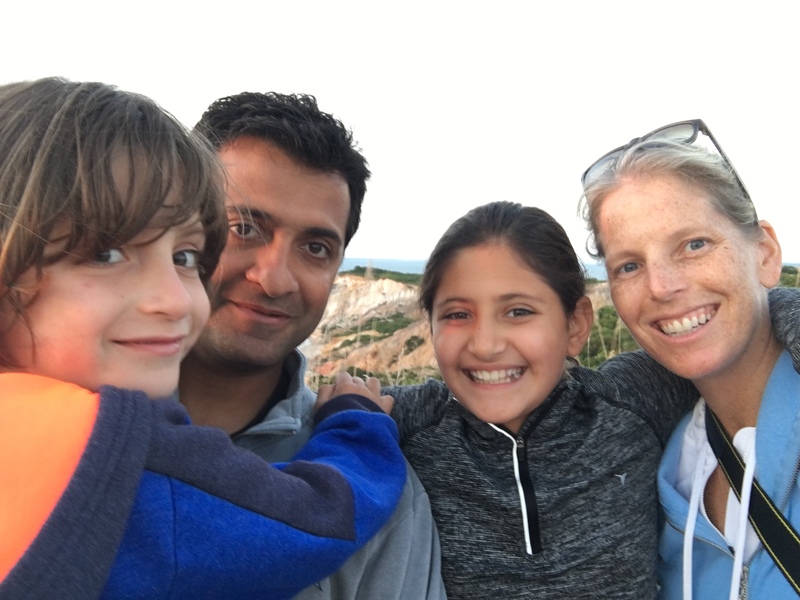 Jen Seshadri and her two kids Mia and Liam raised $1,300 as part of our founding 2017 “class.” They came back in force in 2018, outdoing themselves in year two by raising nearly $2,000! For max fundraising impact, the Seshadri family made great use of their “virtual change jars” – SKBC’s modern-day complement to the good old-fashioned coin collection jar. Their creative use of this option within the SKBC campaign proved that even when you’re short on time, you can still make a big difference in the lives of people in need. Since many families find themselves in Jen’s position (busy nearly 24-7! ), we thought it would be helpful to dig into how the Seshadris used online resources and at-home conversations to raise big change for Charley’s Fund. Check out our Q+A with Jen below! Question: First of all, let’s start from the beginning — How did you first hear about SKBC?What made you want to get Liam and Mia involved? Answer: We first heard about SKBC from our school friends two years ago. We are a part of an amazing school community, and giving back is part of the ethos. It often spills over into our lives outside of school, as it did in this case. A few parents who were close to the cause spearheaded the campaign and recruited classmates to join the program. I thought it was an excellent opportunity to teach my kids about helping others — in particular, helping other kids. Q: It can be a fine line to walk when introducing young kids to any cause, especially one that can be as complex as research for Duchenne treatments. Can you share how you engaged your kids to discuss the campaign? What were their reactions? A: Introducing kids to a cause as complicated as DMD can be challenging for sure, but it’s also an important opportunity: This is a chance to help them understand that there are kids just like them in the world — kids who love sports, music, school, and hanging with their friends, just like they do — but who are working through serious medical challenges. And these kids need our help. I did have some prior experience with DMD since in my former life as a teacher I had two students (brothers, in fact) who suffered from DMD. And they helped me realize that there was much more to them than just their disease. To engage my kids, Mia and Liam, I shared my knowledge about DMD and my experience working with my former students who had the disease. The materials Charley’s Fund provided were also invaluable. I often look for talking points and visuals to help guide my discussions with my kids, and having those tools made it much easier to communicate important information in a kid-friendly, simple way. Q: One of the magical things about the SKBC program is that there are so many ways for families to get involved and fundraise for Charley’s Fund – that they can choose what works best for them. Your family has knocked it out of the park two years running. How did you and your kids choose to fundraise? A: Fundraising is a tricky thing no matter what the cause. And it can be extra-tricky for kids — they are just learning not only about money but also how raising funds for a cause translates into results. Year one was a big teaching tool for us. For example, we figured out which parts the kids could truly “own” and where parental intervention was helpful (young kids aren’t really going to be building virtual fundraising pages on the internet!). We also learned it was good to have the two of them work together as one team, since our social circle is pretty much the same for both kids and this made our “asks” more straightforward. But also, in the traditional sense, physically putting themselves out there when it came to asking for money can be intimidating — they were a bit uncomfortable. And like most families with kids and school and extracurriculars, we were very busy so setting up lemonade stands and bake sales was just not working for us. I thought it was going to be an epic fail! When we were asked to participate the second year, we felt we wanted to help and really believed in the cause but also recognized the right way for us specifically to approach SKBC was more “virtually” than “physically”. Again in year two my kids just weren’t comfortable going door to door, and we frankly just couldn’t get ourselves organized enough to set up any sort of “sales”. In order to streamline the process, both my kids worked as a team instead of individually, and we put all our energy into our virtual change jar. We are so fortunate to have an amazing circle of family friends that really support our kids. The kids helped me draft a letter to accompany the link to our virtual jar, and then I sent out a group email blast to everyone who is near and dear to my kids explaining what we were trying to achieve. Our focus was on Charley and the concept of giving back in general — and that yes small kids can make BIG change! And my daughter felt that since this year she and her brother were working as a team, we should up our goal — Go big or go home I guess! To be brutally honest, we put our friends on a tight schedule. We only released our fundraising page with about 10 days left in the campaign. I am a firm believer in deadlines — if you don’t give me one, I likely wont get the job done very quickly. But give me a deadline, and a quick one at that… Mission Accomplished! Since we were putting all our eggs in the virtual basket, we put more energy into writing our original outreach, sending a follow up email, and being sure to diligently send brief thank you notes through the fundraising page when our donations came through. My daughter — fresh from completing her intro to keyboarding class — was excited with any opportunity to type on my computer and thrilled to craft a few brief Thank You messages! Q: While raising funds for research is an important part of SKBC, you mentioned that a special part of SKBC for you was the opportunity to teach your kids the importance of being involved in their communities even at a young age. Could you say more about that? that so many people care, really hit home. My son is a sensitive 6-year-old, and he would often mention that it probably makes Charley “feel happy” knowing that people want to help him. This cause has become very special to us, and we hope others get involved. But like we wrote in the reminder emails that we sent out, we were sure to also recognize that everyone has causes that are near and dear to them. If Charley’s fund doesn’t make their list (this year!) we understand. But we hope we were able to help people at least make giving back a topic of conversation with their kids — and convince them that small kids can make BIG change! Q: We would love to get new families involved with the campaign. What would you say to families who are considering joining the cause? A: Feeling a connection was key for us. 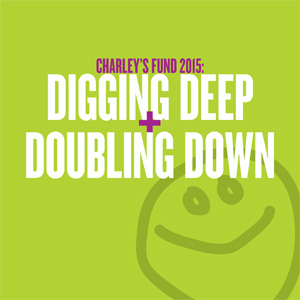 First the connection with our friends at school, and then also the connection to Charley, which was easy to feel through the literature and videos Charley’s Fund sends out to support the campaign. There really is strength in numbers, and having many in our community involved made us want to be a part of it. The parents and staff at Charley’s Fund who led our group made it so easy to be involved — and so much fun. And just when I thought we were failing because we didn’t run a lemonade stand or my kids wouldn’t ask my neighbors to drop change in our jars, we realized it was okay to get a little help from a parent and the internet. I am so grateful for having the opportunity to help Charley’s Fund and for how Charley’s Fund has helped me teach my kids that small kids can really make BIG change! We at Charley’s Fund want to say THANK YOU to Jen, Mia, and Liam for their support — and for sharing these thoughts with others who might want to get involved. Jen was also kind enough to offer share one of the campaign emails she crafted with her kids, in case it is helpful to others. Check it out below. Meanwhile, interested in getting involved with this year’s Small Kids BIG Change? Let us know! Contact Stuart at stuart[at]charleysfund.org. I hope this email finds you well and that you all enjoyed your version of a very happy Thanksgiving! We had so much to be thankful for this year, and you are a big part of that list. If you haven’t already donated and would like to, the link to our page is below. I realize we all have causes that are near and dear to us, and if Charley’s Fund can’t make your list this year we totally understand. But please spread the word and the idea that small kids can make BIG change! Our campaign ends this Saturday morning! Click on the link below to make your donation! We are less than $25 away from our new, increased goal of $1500.